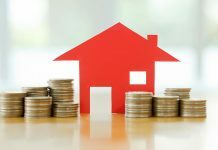 Roohome.com – These 2 modern design of bunk beds below are written for helping you in creating an amazing bedroom for kids. 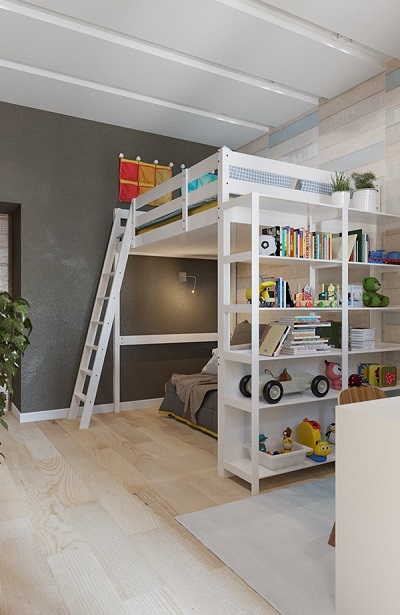 If you get difficulty in positioning 2 bedsteads for 2 kids in one room, yet you do not wanna make the room becomes narrow, this idea is suitable for you. 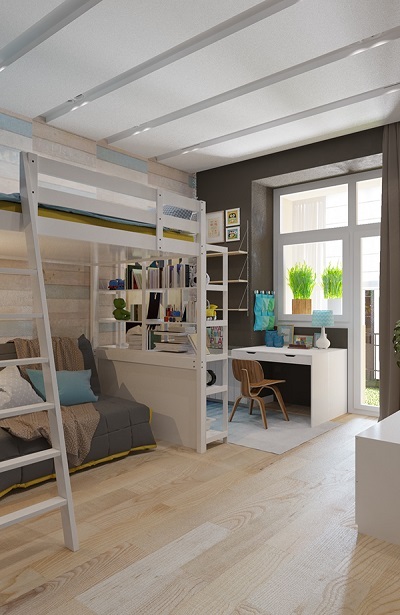 A bunk bed is the best choice for replacing 2 bedsteads instead. 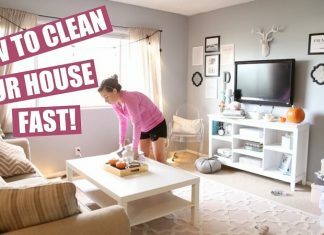 How to arrange it and create a modern appearance? Well, here we go! Playful and enticing is the main concept in the first design like this one. 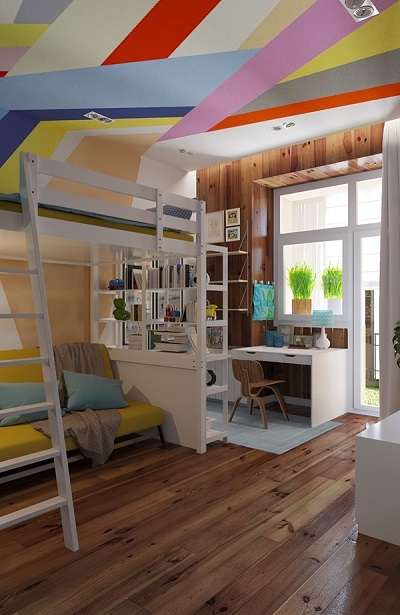 Gluzdakova Maria as a brilliant designer uses a colorful theme in arranging a bunk bed in one room. She is not only using ordinary bunk bed, but also a modern design of bunk bed itself. 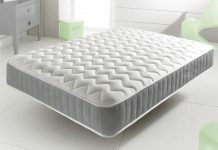 The arrangement of the bunk bed is made simply by dividing the bed on top and a place to relax under of it. 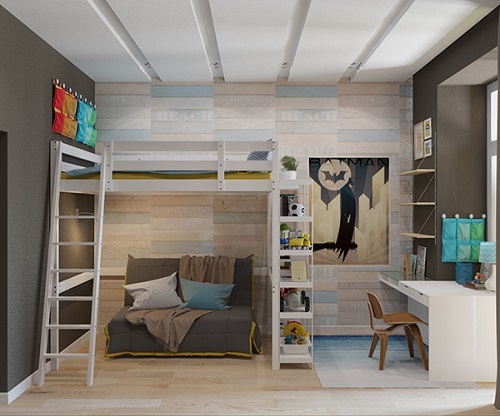 Besides that, the designer also provides some shelves on the bunk bed as books or toys storage. There is a window against the bunk bed in order to splatter brightness into the room. 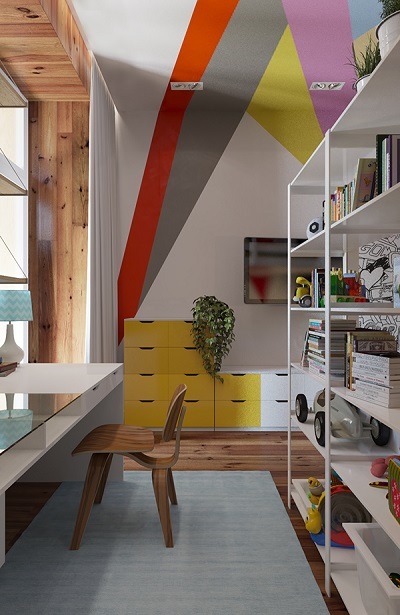 Bright color and colorful theme can be a perfect match in one room only. 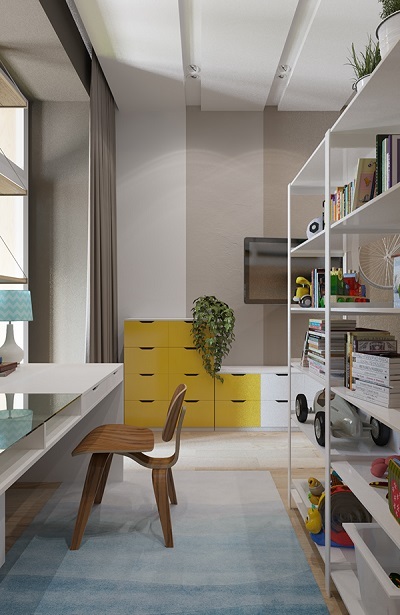 Gluzdakova Maria also arranges study space for kids by positioning a glass study desk against the window and leaving some spaces to place book shelf on the wall. Now, let’s move to another design which is as fabulous as the previous one. 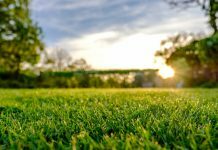 Do your kids like collecting sports stuff or doing kind of sports? 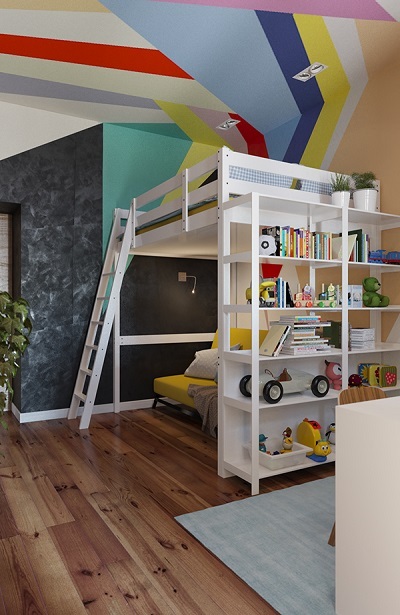 This is one of modern kids bedroom design with a bunk bed which has a sporty theme for designing your kids’ room. Start from the first view of this room you can take a look at the arrangement of the bunk bed itself. The arrangement is as same as the previous design. Yet, The designer gives a little bit different on the paint color. 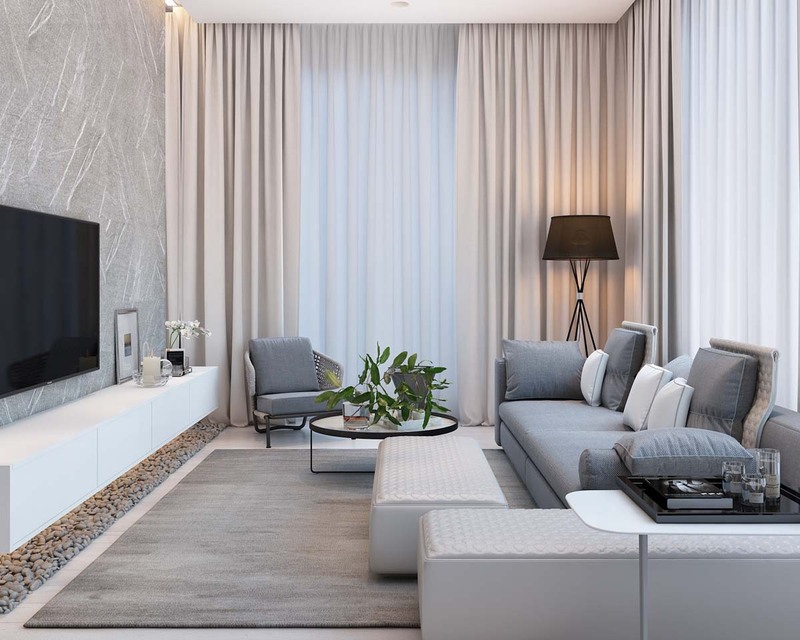 In this design, Gluzdakova Maria uses a combination between dark gray and light gray. She also uses a gradation of gray color on some parts of the wall in order to make it lively. Move to the ornaments of this room is quite sporty because she is hanging up a bicycle on the wall. The bicycle is chosen by her to show a sporty vibe of the room itself. Do you know? The designer uses wooden as the main material of the floor start from the first design and second design. There are no many differences between first design and second design, only the way Gluzdakova Maria applies the themes. 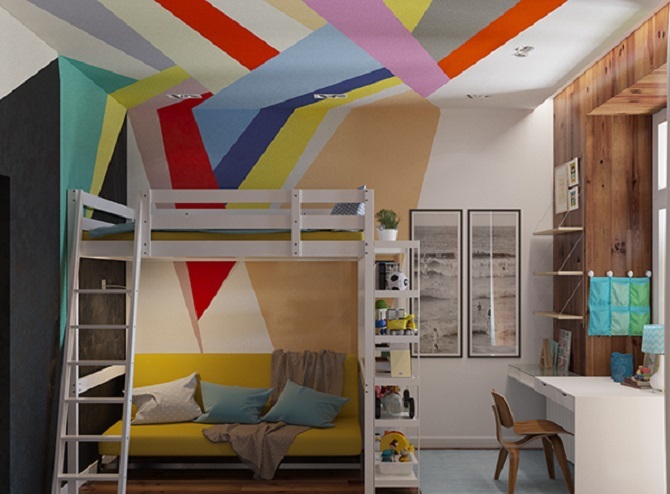 Well, what do you think about these 2 modern design of bunk beds above? 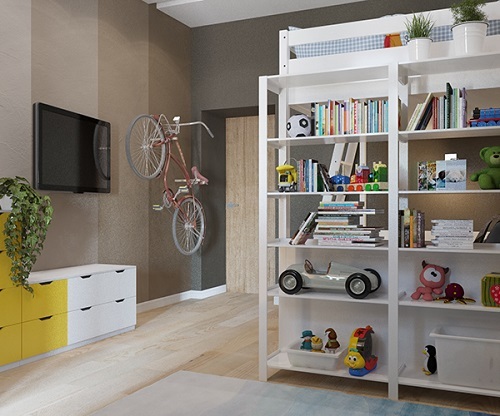 Colorful theme or sporty theme is helping you in applying the best concept for your kids’ room. 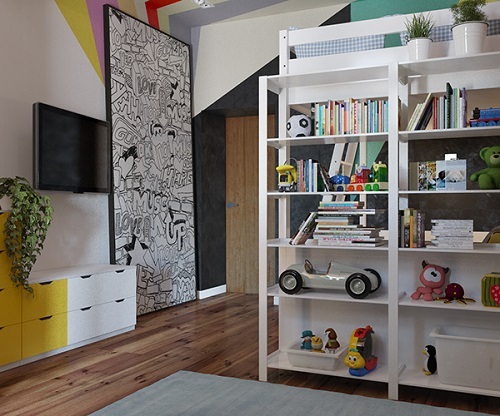 Change your kids’ room appearance now and make your kids’ produce an amazing imagination in their room. If you want to see other design, just visit and check here. Have a nice day! 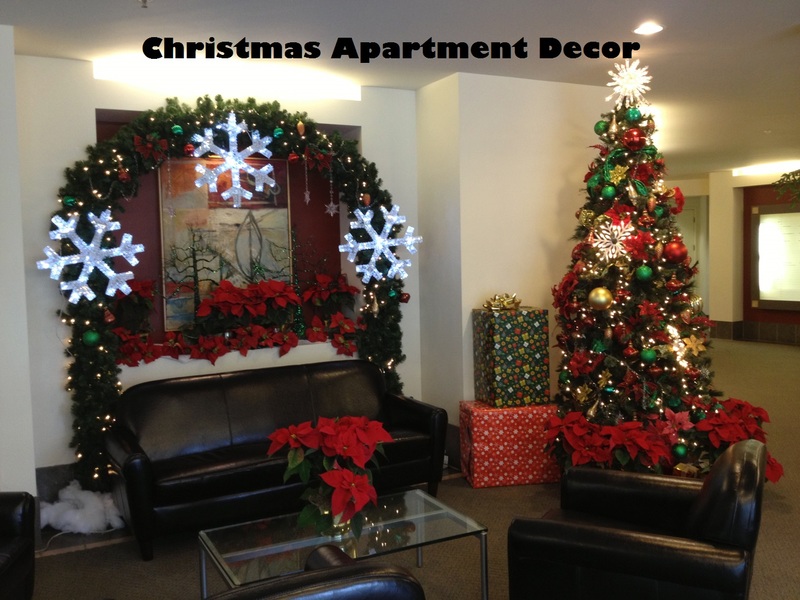 Previous article5 Aesthetic Dining Room Design Bring Inspiration For You!